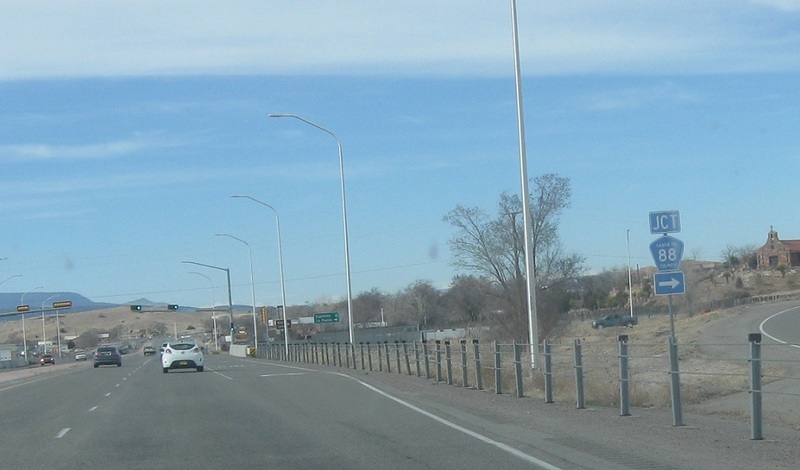 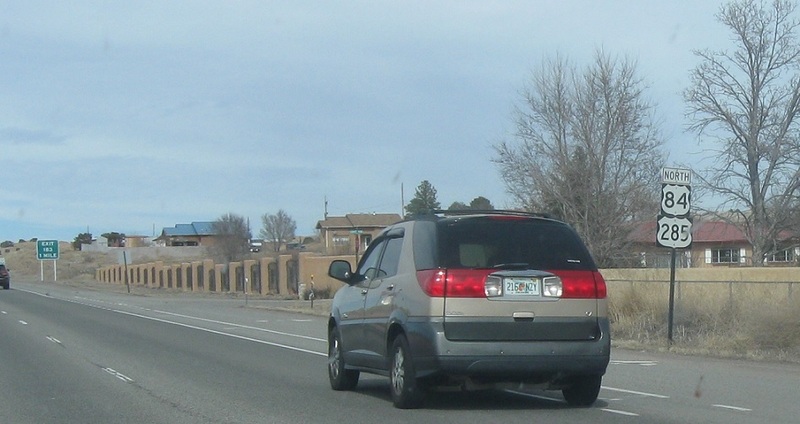 Reassurance shield after the SR-503 junction. 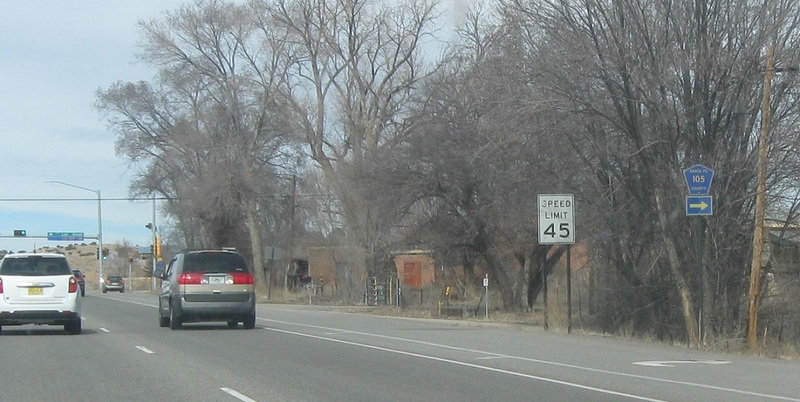 As we head out of Pojoaque, we’ll approach CR 105. 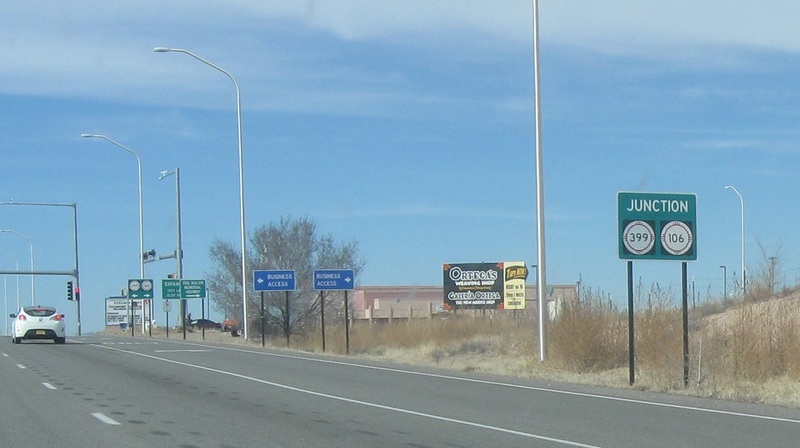 Turn right for CR 105. 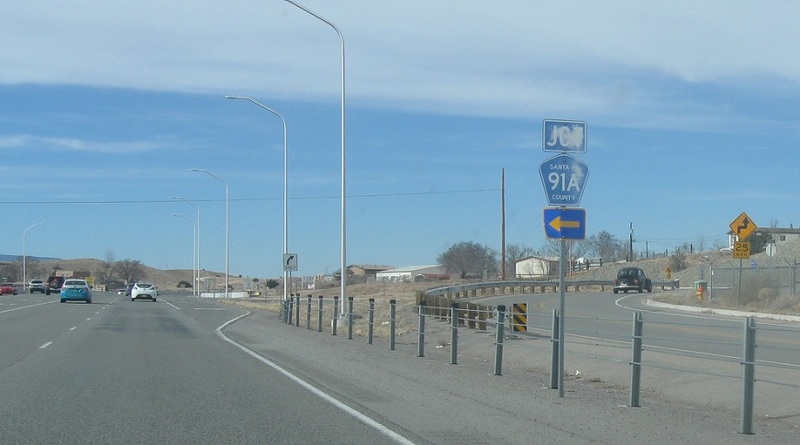 Turn right for CR 109. 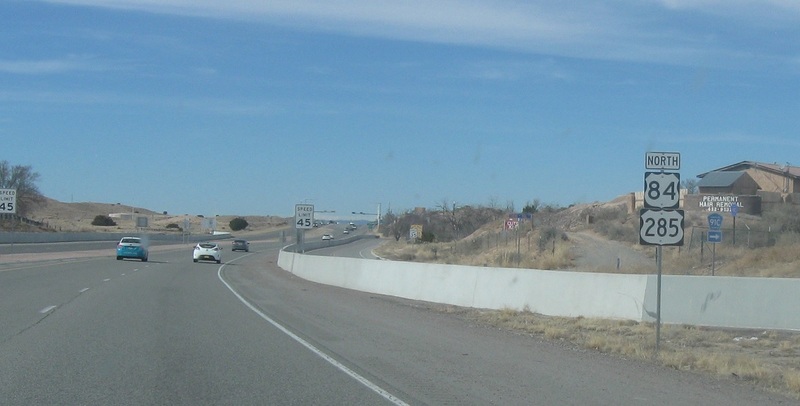 Reassurance shield after CR 109. 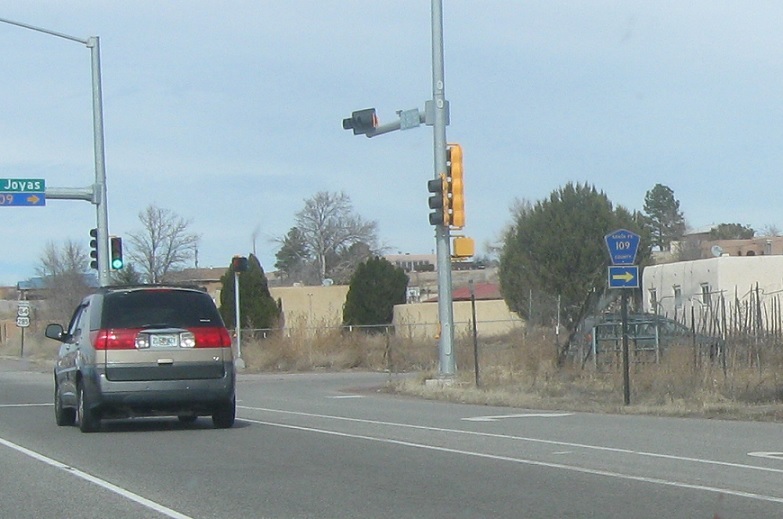 Turn right at the light for CR 88/La Puebla Rd. 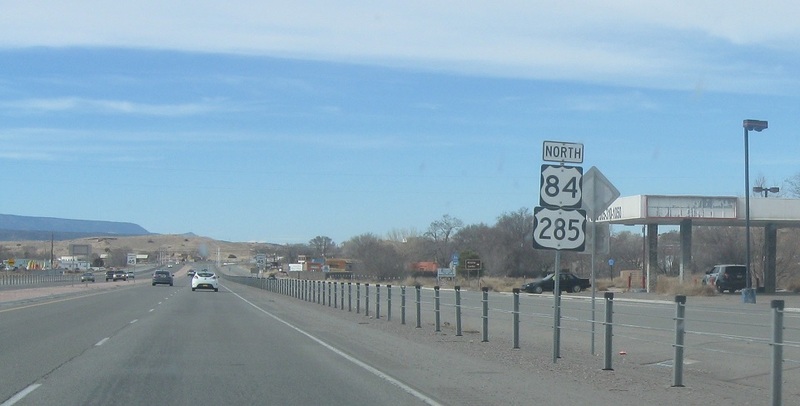 Turn left for CR 91A/Boneyard Rd. 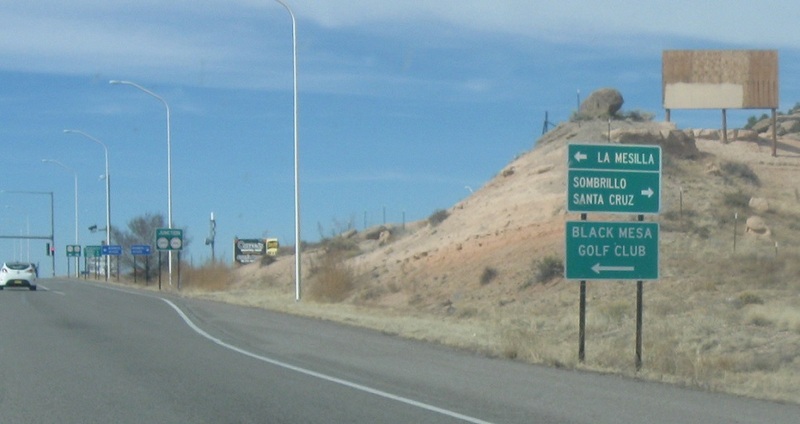 Shortly thereafter, we’ll approach SRs -106 and -399, which head to Sombrillo/Santa Cruz and La Mesilla. 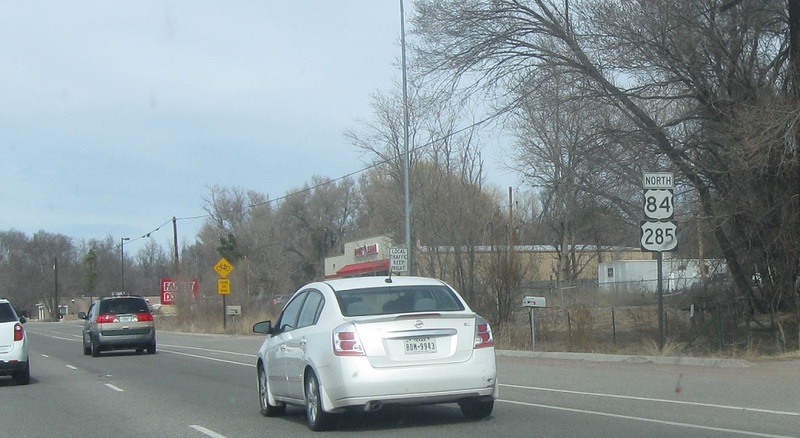 Junctions 399 and 106 ahead. 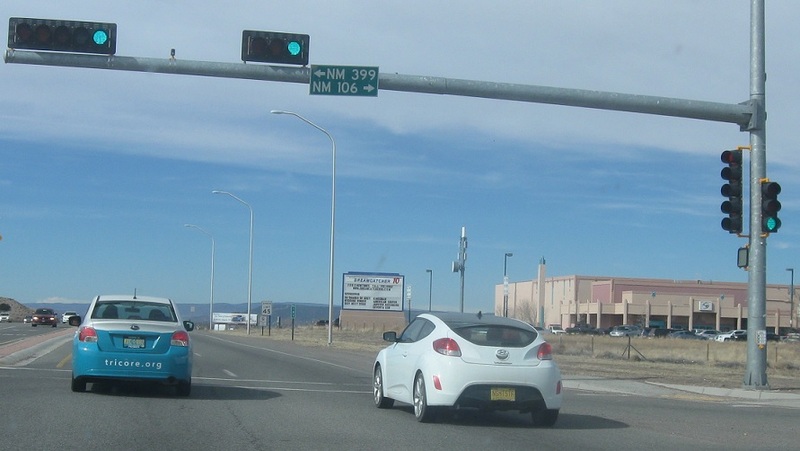 As we enter Espanola, turn right for 106 east and left for 399 west.